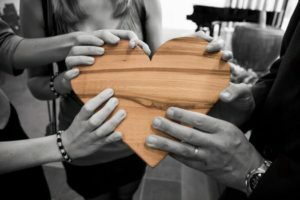 The Karuna List: Simple ways to put compassion into action. In Yoga Mind, there’s a chapter on Karuna, which in Sanskrit means compassion. My understanding of Karuna is slightly different: to me, it means compassion married with action. This could be because of my teachers, who walked the walk as well as talking the talk of Yoga being able to change the world, one person at a time. Or it could be because of the way Integral Yoga was born in a time of great social change—the 1960s, when the Vietnam War was raging, people were protesting in the streets, there was rampant drug use, the Civil Rights movement was fully engaged… (It doesn’t sound that much different than today.) Integral Yoga was formed by people who wanted rights for all, and using Gandhi’s principles of peaceful change, these rights could be fought for in a peaceful manner. Compassion is a great first step in cultivating peace within ourselves, and within this increasingly turbulent world of ours. Through compassion, we connect with others. And we don’t have to stop there. We can take action to help others, which also has the side benefit of helping us. Here’s a list of ways we can exercise Karuna, compassion with action. 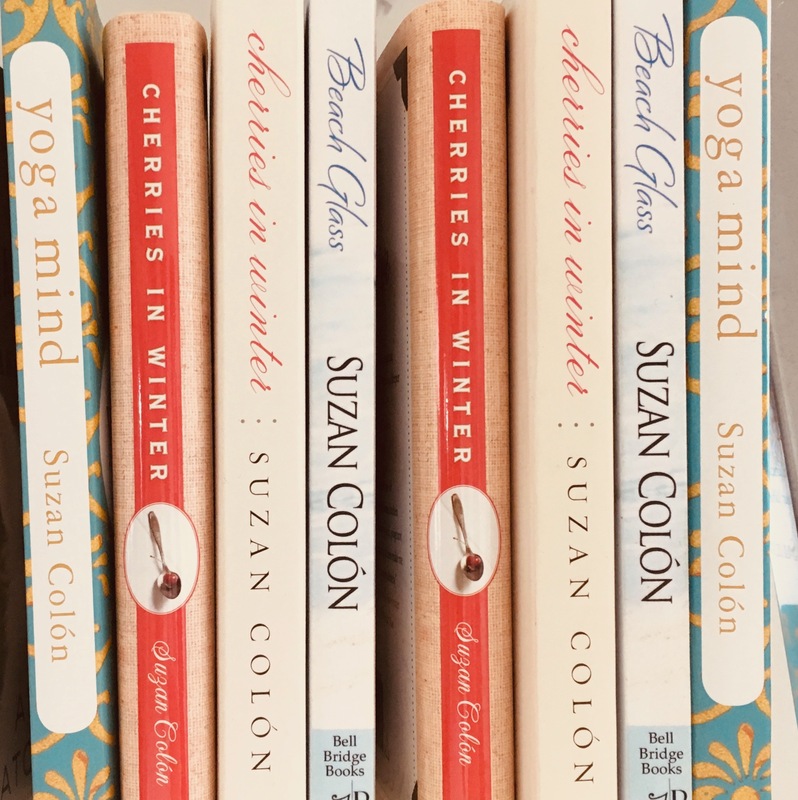 Email me your suggestions at info@suzancolon.net, and I’ll add them. Let’s keep this list growing. Smile. As the saying goes, “Be kind, for everyone you meet is fighting a hard battle.” When I commute into the city, where subways are crowded and streets are filled with people in a rush, I smile at people every now and then. You can see it lifting their spirits. I know it’s certainly worked when people have done it for me. Pick one. Go on Facebook and you’ll see dozens of ads prompting you to sign petitions for a cause, send money to save animals/children/the environment, and more and more until you become overwhelmed with the sad state of the world. You don’t have to succumb to overwhelm; just pick one thing. Choose one thing you’re passionate about, like the environment, and send a few bucks. If you’re a knitter, start a knitting circle at your local senior center, or knit chemo hats for those in cancer treatment, or hats for babies in the NICU. Just pick one area, one thing, one action item a day, or even one per week. You matter, your actions matter, and you can make a difference. Share your talents. You probably have some amazing skills that could benefit others. Share them. If you bake like a demon, find out if your local soup kitchen accepts donations. If you knit, you can knit for charity through these great organizations. This is a type of Karuna that can be fun—pick something you love doing, and I’ll bet you can find someone who needs whatever it is you do. You’re happy, someone else benefits, the world shifts in the right direction. Huzzah! Get specific. After the hurricanes and subsequent flooding in Texas last year, a journalist who’d lost her home said that the friends who were the most helpful were the ones who were most specific in their offers. When asked, “How can I help?” or “What do you need?”, she didn’t know where to begin. She and her family left their home by rowboat with only the clothes they were wearing. When friends got specific, though, saying, “I’ll make you food” and “I have clothes for your daughter,” she was relieved of the burden of thinking. All she had to say was yes. If you have friends in need, get specific with your offers. And if you’re in need, don’t hesitate to tell people what you need. Have more ideas for Karuna? Email me at info@suzancolon.net and I’ll add them to the list. Live your best and truest life. 30 spiritual tools you can practice wherever you are. Yoga Mind is here. 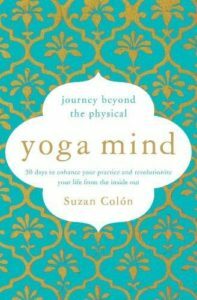 Now you can have a Yoga Mind.